A Boeing 737-200 crashed shortly after takeoff in Cuba on Friday, officials at Jose Marti International Airport said, killing at least 100 people. 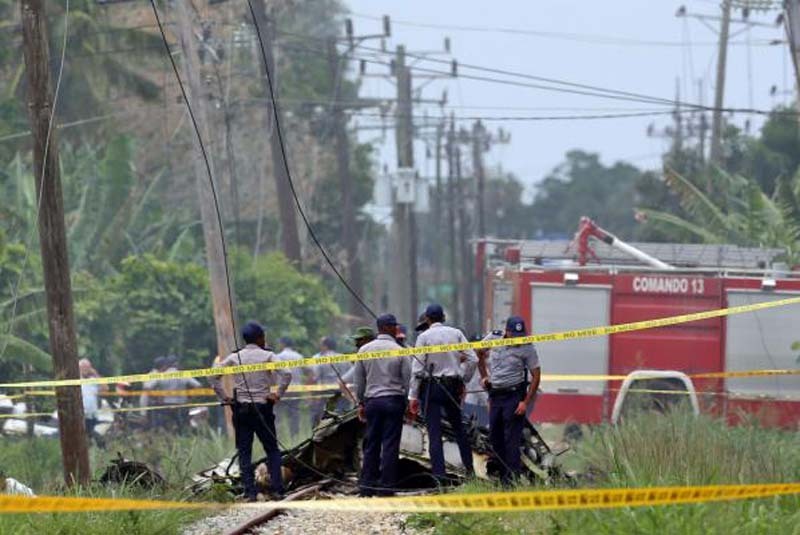 The plane with 104 people on board crashed near a high school close to the Havana airport, creating a plume of smoke, WPLG-TV in Miami reported. Radio Havana Cuba said the plane crashed onto a highway near Santiago de las Vegas, a rural village 12 miles south of Havana. State-run media said officials transported three survivors to the hospital, but that more than 100 died. The three survivors -- all women -- were in critical condition at a Havana hospital. The plane was leased by Cubana de Aviación from Mexican airline Global Aerolineas Damojh. Flight CU972 was en route from Havana to Holguin on the eastern portion of the island. Newly installed Cuban President Miguel Diaz-Canel was at the site to observe rescue efforts. He launched a commission to investigate the cause of the crash. "The news is not very promising, it seems that there is a high number of victims," he said. State media reported most of the passengers were Cuban, though the crew was Mexican. The Independent reported the plane was 30 years old and had previously been used by seven other airlines, including Southwest Airlines and Air Kazakhstan.